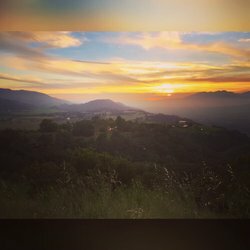 Learn this transformative breathwork technique which allows you to still your monkey mind, access your deep intelligence and guide you into your expanded states of Consciousness. This deep intelligence, known as Prana, keeps the trillions of cells in your body in tune and knows where energy is blocked. 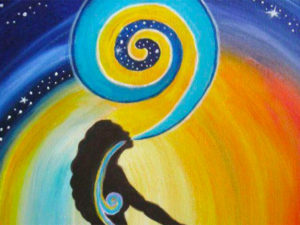 The transformational breathwork technique increases pranic flow to release physical and emotional blocks, releases limiting thoughts and liberates you into celestial realms of Pure Awareness. 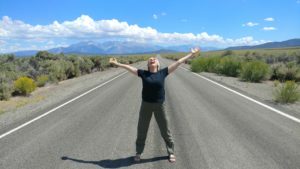 Your facilitator guides, Maggie and Marilyn, hold the safe and sacred space for your inner journey into wondrous inner discoveries and states of Being. Format: After a brief orientation, you will lie comfortably with an eye pillow and bolster support to be led in a very specific and active manner of breathing. ***Please note: As this class involves breath retention, it is not suitable if you are pregnant, have heart disease, or you are on prescription medication to balance emotional levels. Release of mental, emotional and energetic blockages. • Physical release and relaxation of areas of tension or constriction. • Profound experiences of love, peace, and gratitude. • Experience of expanded states of consciousness. Are you struggling with the daily barrage of bad news? Is the gravity of our world taking you down? I would LOVE to share my findings to assist you. We spend four sessions together. We’ll be on chairs, don’t expect a yoga fitness class. Go home each week with a tool to integrate into your life. Easy and light, Let’s increase our mental and emotional fitness to feel better, and help those around us too. We will practice conscious movement, breath work, mindful meditation, and conversation to reflect on how we can de-stress, reframe our lives and discover more joy. These two guys are my heros! 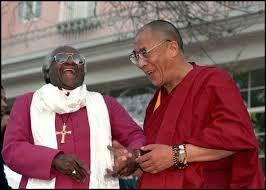 Desmond Tutu, suffered hugely at the hands of the Apartheid regime in South Africa, and the Dalai Lama lost his homeland. Both have witnessed unbearable human suffering, yet they are always laughing! Together they published The Book of Joy! We too can learn to be happy in spite of everything. 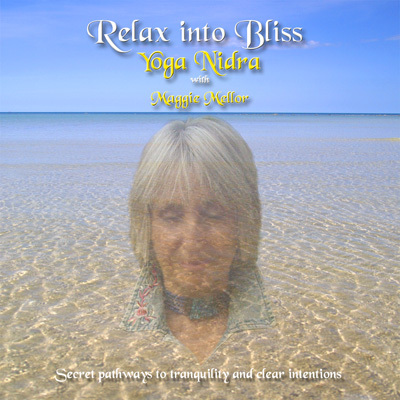 Maggie Mellor guides you into the deepest levels of relaxation through Yoga Nidra. Awareness is drawn through five layers of consciousness till you hover just above the level of sleep. This is a profound experience of being aware of being asleep. By creating and placing your intention at the onset of this inward journey, you shape your destiny. This is the secret tool of yogis and swamis! Leave this workshop in awe of the beauty of your Being and the great potential of your life. This practice is suitable anyone who wants to simply relax deeply. If you like Shavasana, you will love Yoga Nidra! Please support my fundraising efforts by donating here. Join me for a day of re-connection to Ourselves through Yoga and Nature. 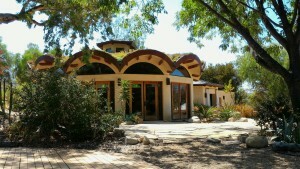 Our home base is the newly completed Council House, a circular structure with a garden on the roof! Here we practice yoga in our circle of friends. Here we have the conversation about our lives, what we have harvested, and what we long for. We relax in Savasanah to enter the realm of lucid dreaming sleep to not only to relax our body minds, but also, to rewrite our programming, and create all that we long for. 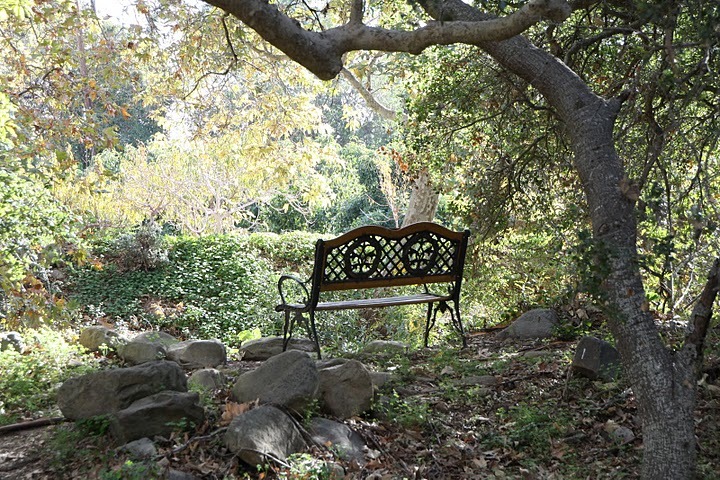 A hearty healthy lunch under the shady oaks, a meditation under the ancient Teaching Tree, a beautiful hike through the winding oaks to the top of the hill. Here we enjoy the vistas and a connection to All That Is. We return to lie in restorative postures, time to reflect, and once more dive deeply into the nidra state, to effortlessly Awaken to our True Nature. Return home in awe of the inner and outer beauty. 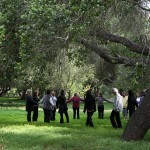 Please join us for community, yoga and sacred land experience. Catch the early bird before September 20th for $120. Thereafter $140. Mostly these yoga days sell out. Email me you are coming. Would you like to join our journey to India next year? Feb 11 – 29th 2016. 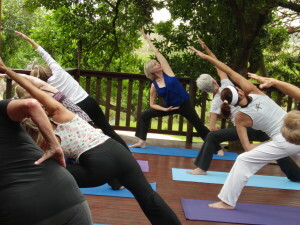 6 nights in Rishikesh on Yoga-Ayurveda Retreat in luxury private villa overlooking the Ganges. 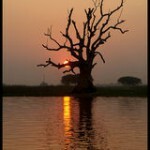 Then visit the best of the country: Delhi, Taj Mahal, Rajasthan and 2 day safari in Ranthambore. The two hour workshop begins with Restorative Poses to prepare for Yoga Nidra. Early bird $30 on or before September 6th. Change the course of your life while Relaxing. “Mindfulness is about being fully awake in our lives. 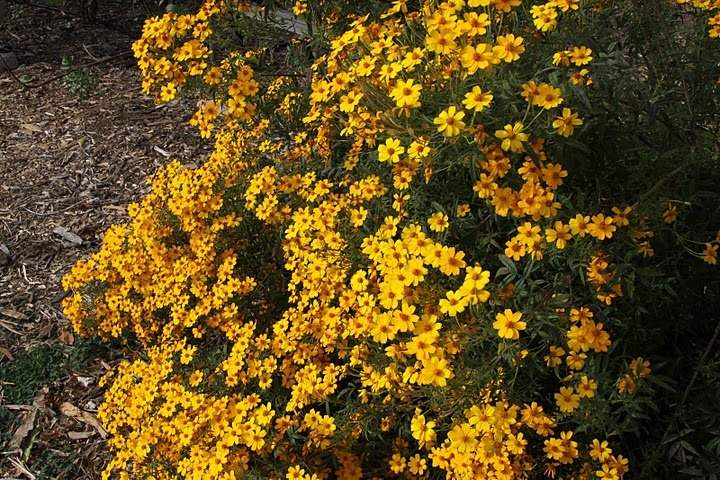 It is about perceiving the exquisite vividness of each moment. We feel more alive. We also gain immediate access to our own powerful inner resources for insight, transformation and healing.” Jon Kabat Zin. Yes, everything we do in our day to day living can be intentional, conscious and done with awareness. I love this so much, and yet have to constantly laugh at myself at failing so dismally at being intentional. Does this ever happen to you? I find myself in the house, retracing my steps in the attempt to remember why I walked into this room. Surely I came here to get something, what though? Ha ha, so much for being intentional. Yet the moments when I am fully engaged in what I am doing, time does expand, the moment does become vivid and I feel so alive. This brilliant illumination came to me not in a Himalayan temple, but in my tiny kitchen. The dreaded task of emptying the dishwasher faces me again. Ugh, gotta get ‘r done quickly so I can move on to something more fun. What if I did this intentionally? What if I took the time to place each plate, glass and piece of cutlery intentionally into its assigned place? Aha, now I am placing my world in order. There is a satisfaction about that, a warm feeling of my breathing and of being productive. This is enjoyable and I feel vividly alive. 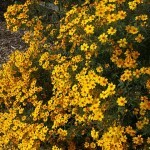 I am transformed by simply taking time, this NOW time, my real life, and doing the simple task well. I am healing my unconscious habit of hurtling forward to the next thing, totally missing this moment! Cultivating Mindfulness in Every Day Life. This exquisite fully booked weekend is now complete. Everyone went home deeply renewed with more friends, greater love for life and a commitment to live mindfully. Watch this space for next year’s retreat. Maggie and Holly Sacks of Insight 3.0 invite you to join them on a weekend retreat. Mindfulness is paying attention in a particular way, in the present moment, without judgement. Based on ancient, sacred traditions, Mindfulness provides a path to compassion, equanimity, and wisdom. Cultivating Mindfulness in Daily Life includes setting intentions for the day, mindful breathing, moving, listening, eating and journaling, plus various forms of meditation, walking the sacred path of the labyrinth, and the optional morning yoga practice. We will have informational presentations balanced with direct experience practice, as well as plenty of unstructured time for you to be with yourself in the supportive environment. 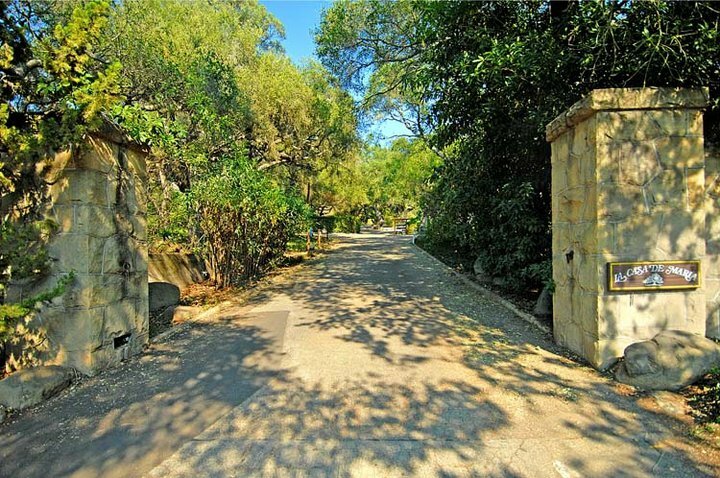 Nestled in the elegant hills above Santa Barbara, La Casa de Maria provides the ideal sanctuary for what we know will be an insightful and memorable experience for all. BA in cultural anthropology from University of California at Berkeley. 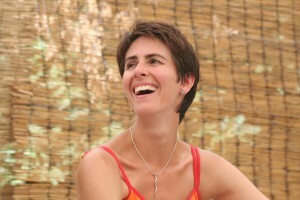 10 years ago, I met Holly when she attended my retreat at La Casa de Maria. 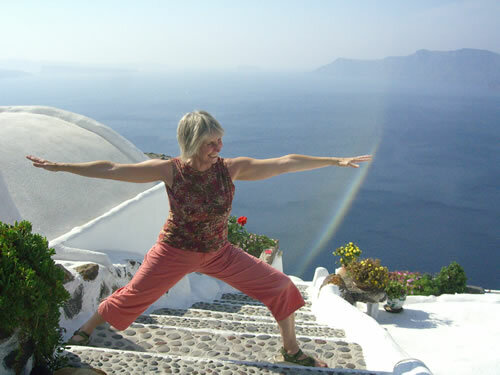 Holly took to the practice of yoga, completed the Yoga Teacher Training, and soon became a practitioner of Mindfulness. Together she and I have enjoyed hours of engaged conversation, many international journeys and delight in conscious living. This has culminated in a partnership in this program Insight 3.0 dedicated to bringing the practice of mindfulness to groups beyond the yoga studios. 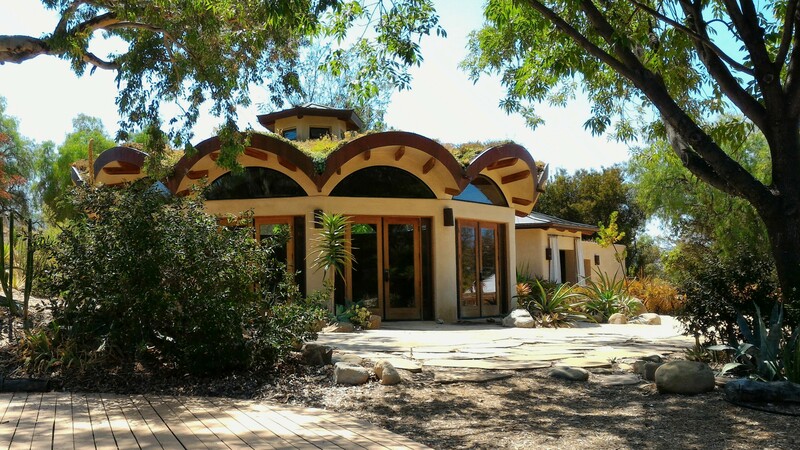 This beautiful retreat center provides a sanctuary for personal reflection and communal connection. 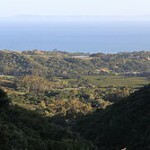 It is situated in the upmarket area of Montecito and borders the luxurious Santa Ynez Estate. Yet the offerings are simple and very affordable. I have been hosting retreats here for 10 years and never fail to marvel again at the exquisite natural environment tended by the very kind staff and the welcoming of all who love to take refuge. Oh, and the food is great, fresh, healthy and made with love. Special diets are accommodated. 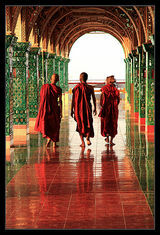 Unforgettable journey to Burma now complete. This journey is now sold out. Join us on a journey to a country where the clock of development has stood still for many years. Where the main city traffic is made up of thousands of bicycles. Where stilted villages float on lakes and people never leave the water; where the sound of the dharma bell rings over the peaceful farmlands. Come to the Golden Land where red robed monks and a serene smiling people will enchant you with their grace and hospitality. 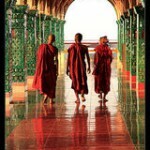 Also known as Myanmar, Burma is a land where Buddhism is the way of life. Courageously, having been repressed by a military regime for many years, the people have continued the path that leads to the End of Suffering. Thankfully, change is happening and there is democratizing of the infrastructures. Now this destination has been named as one of the Top 10 in the world. Some of the highlights: Soaking up the peaceful air at Shwedagon Pagoda at sunset. 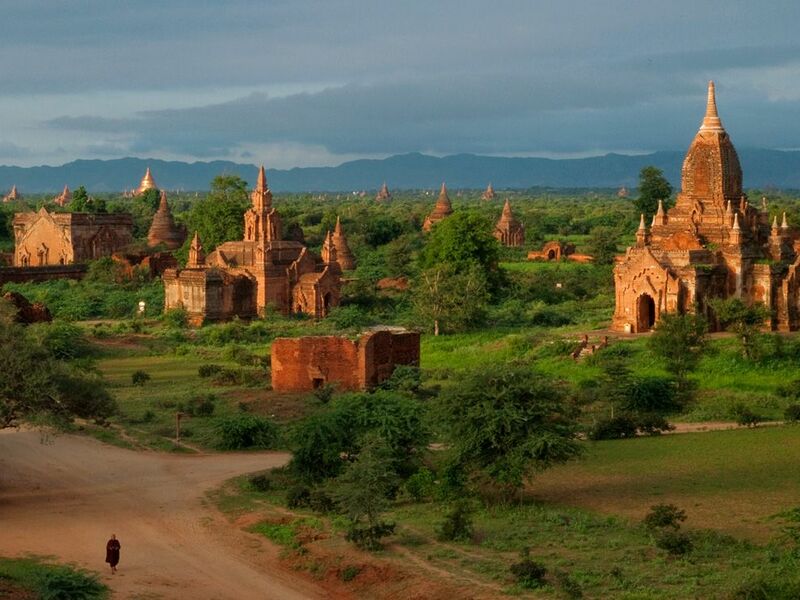 Exploring ancient temples of Bagan in a horse and cart. Floating on a long boat on the serene Inle Lake. Cruising down the Irriwady River through remote villages. Exploring limestone caves at Pindaya filled with hundreds of Buddha Images. Shopping in the bustle of crowded markets and shops in colonial Rangoon. In keeping with the request of Nobel Peace Laureate Aung Suu Ki, we are avoiding large hotels owned by the military junta and will stay at carefully chosen properties to ensure that our visit brings benefit to locals. 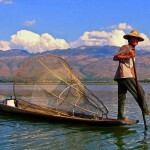 We visit all the most important places: Yangoon, Bagan, Mandalay and Inle Lake. We travel by road, air and by boat. All kinds of boats! 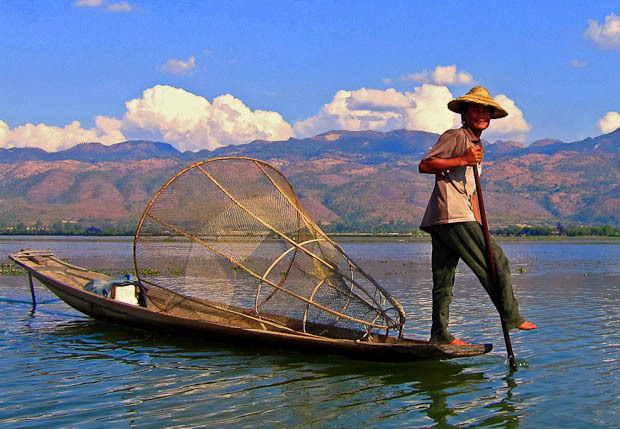 From a river boat cruise on the Irrawaddy River an all-day experience with lunch on board, to sunset canoes on the lake. We walk, hike and are taken around in horse drawn buggies! Temples, markets, scenery and great food. This is not to be missed! With all the eagerness of visiting a whole new culture, we practice Mindfulness on our Sacred Journey. We tread lightly as we go. 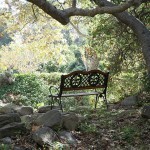 A short daily meditation together will keep our focus and our energies aligned with Present Moment Awareness. A small group of friends in a foreign land: what can be better? The dates include flying time from Los Angeles. If you are coming in from elsewhere, know that we begin in Yangoon on January 4th. We return home to LAX on January 16th early in the morning. 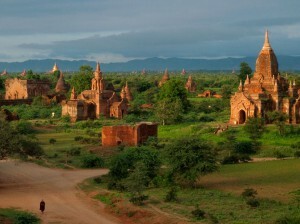 Visas are required to visit this country, and so airtickets must be purchased immediately. To book your flight: contact Laurel at: lspottl@aol.com. Call her at 805 5853721 direct. We carefully researched the best price, shortest route and most comfortable airline! All local meals, transport and entry fees. Not included drinks, tips, visa fee and international airfare. For details and full itinerary email Maggie@easeintoyoga.com. 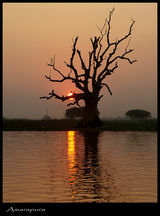 A photographer’s heaven, we will experience sunset and sunrise in spectacular places. Meditate in the temples, participate in prayerful practices or simply enjoy the wonder evoked by the place. And in the end: Seize the Day! 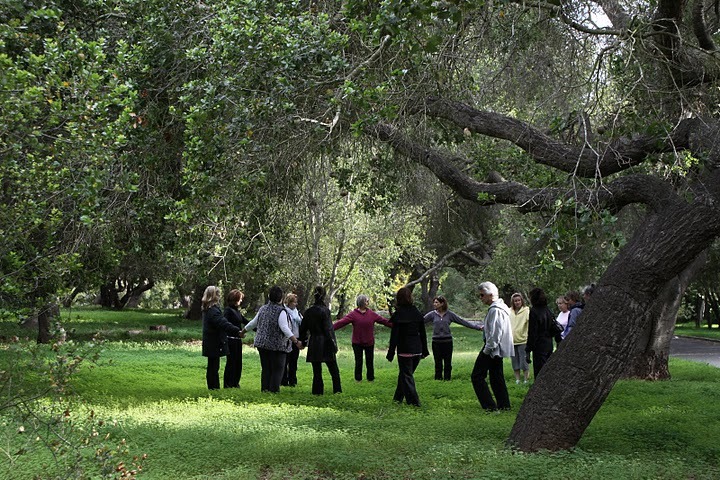 You are invited to join me for the day at this lovely 28 acres verdant land, snuggled into the mountainside of Montecito, for yoga, meditation, mindfulness and singing! Yes, Stella is coming with her gift of song. She will, after the delicious lunch, lead us in opening our voices to chant some ancient mantras together. This will be both fun and liberating, especially for those of us, who, like me, have doubts about our capacity to belt out a good song. This is the 11th year that I host these events at La Casa de Maria. Yoga Retreat Days are always filled, and much enjoyed. Please sign up right away, so that you don’t miss out! We will be in the Chapel this time, the perfect space for cooling yoga,(for all levels) comfortable meditation and heart felt chanting. We end the day with deep relaxation. This is a day out of your routine to enjoy alone, or with a friend, communing with your spirit through yoga, nature and song. By the way, La Casa has a pristine pool available for our use during lunch break, should the day be hot. Yoga days almost always sell out, so don’t miss out. Sign up now and benefit from the early bird price. Alternatively, please mail check to:Maggie Mellor 2553 Ciro Ave, Thousand Oaks, CA 91360. For directions, please scroll down. Directions: 101 North to San Ysidro Road. 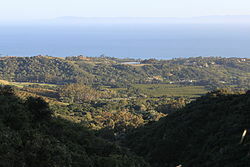 Turn right onto San Ysidro Road about 1 mile to East Valley Road (the second signal light) in the Montecito Upper Village. Right on East Valley Road about 2/10 mile to El Bosque Road. Left on El Bosque which ends at La Casa de Maria. We are in The Chapel. Please park near the Office, or continue up the the one way road to park at the tennis courts. If you get lost, please call Maggie at 805 3908009.